Can an Email serve as "Written Notice?" 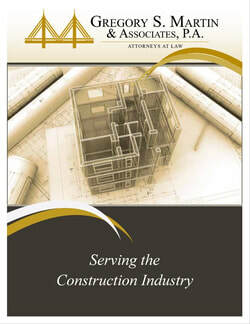 Contracts often require “written notice” to advise the other party of a claim for additional compensation or time. With the routine use of electronic mail, the question has arisen whether an email can suffice. Many states now recognize the enforceability of electronic signatures and several courts now require nothing but electronic filings. Thus, it would seem natural that an email should constitute “written notice.” However, as with most things in the Law – it depends. The starting point for answering this question begins with the contract itself. Clearly, if email “written notice” is expressly allowed or prohibited, determining the answer is easy – follow the contract. Often, though, the contract is silent as to the form and substance of the written notice to be provided. In that situation, the answer is not so clear cut, but a broad trend appears to be emerging through various courts. First, the sender must have some way of confirming that the email was “received.” Attempted delivery does not suffice. Of course, a reply by the other party (whether by email, letter or some other form) proves receipt. But when no reply is received, the sender will need to demonstrate that the intended recipient actually received the email. No case has yet been found addressing whether the “delivery” and “read” receipt options in Microsoft Outlook will satisfy proof of receipt, but it is only a matter of time before a court does. Read and understand your contract. If the use of emails is not addressed in the contract, but you intend to use them, seek formal agreement with the other party to do so. Further, treat the email like a formal letter. Be professional. Be clear and concise. Be certain of receipt by the intended recipient, not just delivery by you.